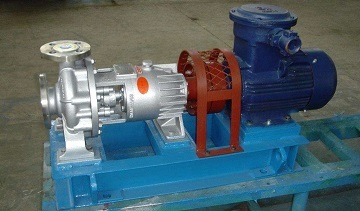 The chlor alkali process is one of the most severe corrosive chemical processes. It involves brine, sodium hydroxide solution, molten caustic soda, chlorine, and hydrochloric acid, etc which may lead to strong reducing or oxidizing corrosive environment. Membrane cell method is the latest chloralkali process which involves the electrolysis of aqueous sodium chloride. Many titanium materials are required in the membrane-cell process including titanium anodes, titanium electrolytic tanks, titanium heat exchangers or condensers, titanium pumps and valves, and other titanium facilities. 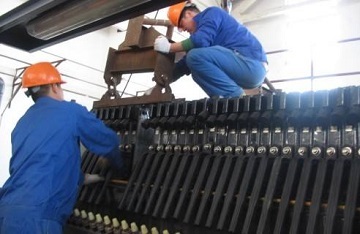 The installation of titanium electrolytic tank with titanium anodes. 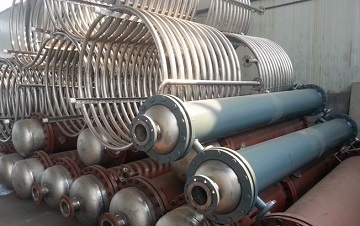 Titanium condenser coils made of ASTM B338 Gr.2 for a chlor-alkali project in Poland. Besides, some facilities in the chlor-alkali process may be made from titanium alloys such as the chlorine absorption columns, spray columns, and dechlorination columns, etc.